My mom sent this picture to me from the Chicago Botanical Gardens. 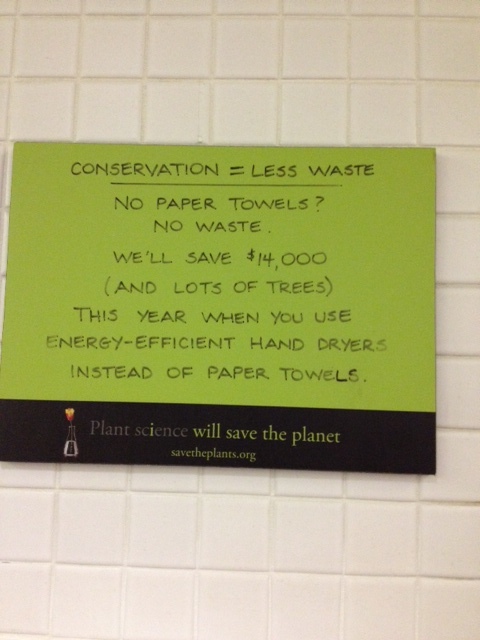 I have noticed more and more places are eliminating paper towel options out of their bathrooms. I personally just shake my hands to dry them. My boys like to 'check' if my hands are damp to ensure I am not sneaking paper towels when I am in public bathroom and forgetting to mention it to add it to my total waste count. As I mentioned before, we are a competitive family and that is why they are doing so well at becoming zero waste teenagers.